Analysis: San Francisco right-hander returned from a finger injury last week and limited the Dodgers to two earned runs on three hits in five innings of work. 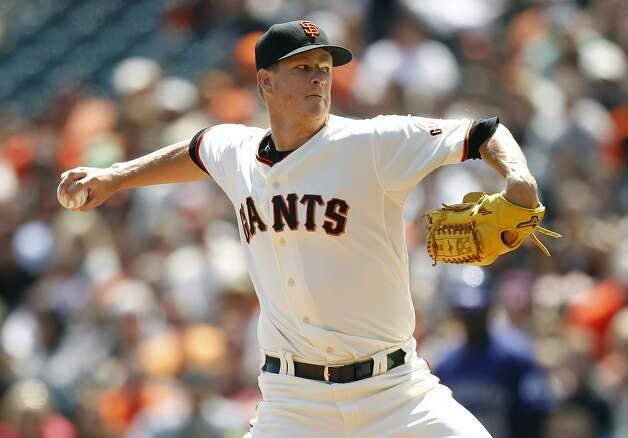 Cain should secure his first win of the season tonight versus Miami against whom he is 5-4 with a career 3.07 ERA and 1.09 WHIP. More importantly, Cain has limited Miami to three runs or less in each of his last five starts, a period dating back to May 24, 2011. I also like the fact that Cain is supported by an outstanding San Francisco bullpen that owns a 2.10 ERA and 0.95 WHIP, including a 0.94 ERA and 0.78 WHIP at home and a 2.20 ERA and 1.03 WHIP at night. Miami takes the field with a woefully inadequate offense that is batting .224 with a .291 on base percentage on the road (3.3 runs per game), .240 with a .300 on base percentage versus right-handed starters and .244 with a .311 on base percentage over the last ten days (3.9 runs per game). Miami relievers are also imploding as evidenced by their 5.49 ERA and 1.56 WHIP on the road and 5.76 ERA and 1.72 WHIP over the last seven games. After losing ace Jose Fernandez to a season-ending arm injury, the Marlins now turn to Nathan Eovaldi to lead the rotation. “It’s definitely disappointing, but we’d been throwing the ball so well as a whole, we’ve got to focus on keep doing what we’re doing and keep going out there,” Eovaldi said of moving on without Fernandez. “It’s definitely a big blow for us. The things he’s accomplished and everything he’s done for the organization is amazing, especially at a young age.” Eovaldi is having a strong 2014 campaign as he is 2-1 with a 2.86 ERA and 1.11 WHIP, but he has never had success against the Giants. Specifically, Eovaldi is 1-2 with a career 12.21 ERA and 2.14 WHIP versus the Giants, including yielding a combined 19 earned runs on 26 hits in his last three outings against San Francisco (19.7 innings pitched). From a technical standpoint, San Francisco is 13-5 (+10.2 units) versus teams with a winning record and 22-9 (+13.8 units) in games with a total between 7 and 8.5 runs, whereas the Marlins are 4-15 (-10.5 units) on the road, including 2-12 (-10.0 units) on the road versus right-handed starters. I like San Francisco in the game. Analysis: Tampa Bay southpaw Erik Bedard has to be one of the biggest surprises of 2014 as he is 2-1 with a 3.38 ERA and 1.42 WHIP, including posting a 1.64 ERA and 1.27 WHIP on the road and a 1.06 ERA and 1.05 WHIP over his last three starts. Prior to this season, Bedard was 4-12 with a 4.59 ERA and 1.48 WHIP in 2013 and 7-14 with a 5.01 ERA and 1.47 WHIP in 2012. The Rays initially signed Bedard to a Minor League contract during the offseason before releasing him in March. Following attrition to their starting rotation, the Rays re-signed Bedard a few days later. Needless to say, Bedard’s peripheral statistics are in now way indicative of his pedestrian skill set, and I expect the regression to begin tonight against the Angels. Bedard is also hampered by an extremely disappointing Tampa Bay bullpen that own a 4.36 ERA and 1.34 WHIP this season, including a 4.93 ERA and 1.55 WHIP on the road and a 5.59 ERA and 1.19 WHIP over the last seven games. Run support will also be an issue for Bedard in light of the fact that the Rays are batting .230 with a .298 on base percentage on the road and .244 with a .312 on base percentage versus left-handed starters (3.9 runs per game). Meanwhile, Tyler Skaggs is one of the most promising young arms in baseball. “Tyler is really coming into his own, you can really see the maturation process,” Angels catcher Chris Iannetta said. “He just keeps getting better and hopefully he just keeps learning how to pitch and learning how to execute.” Command and control are the keys to success for Skaggs as he is 2-0 with a 2.70 ERA in the four games this season wherein he issued one or less walks. In contrast, Skaggs is 1-1 with a 6.89 ERA in games in which he has issued three or more walks. From a technical standpoint, Tampa Bay is an unreliable 12-30 (-16.3 units) as road underdogs, while Bedard is 4-22 (-17.9 units) in games with a total between 8 and 8.5 runs. I like Los Angeles tonight.